Build a strong case to protect your business reputation and value with business law representation from Ryan, Drewniak & Upshaw, P.A. in Annapolis, Maryland. We have helped many small businesses with a variety of legal services. For many, owning and operating a business is part of living the American dream. Small businesses abound in America as the ingenuity and determination that made America great lives as strong today as it ever did. For more than 22 years, John Ryan has been privileged to provide advice and counsel to hundreds of entrepreneurs who took that leap out of their comfort zones to start a new business, as well as assisting many established business in contract negotiations, employee issues, sales of business, and even simply winding down operations. When you decide to start you own business, you dream of being the best at what you do. You dream of creating a valuable product or service that will benefit your customers and reward you in the process, both financially and emotionally. We understand that - we started our business with those dreams, as well. Unless you are a lawyer, however, you do not dream of figuring out what licenses you need, how to file corporate documents with the appropriate state agency, and what corporate formation you need. You do not dream of drafting policy and procedures guidelines to keep you out of trouble with the labor relations groups, and you do not dream of navigating today's legal mine fields. When your business is up and operational, your dream of strengthening it by either providing higher quality goods or services or by expanding to new markets. Your dream of becoming more successful, well known and doing more business. But often you find yourself diverted from your dreams by negotiating and drafting contracts, dealing with landlords or tenants, or struggling to understand the legal complexity of a situation. Sadly, sometimes you find yourself in a nightmare of too many bills and not enough money and all you dream of is a way out of your business. Or perhaps, you have lived the business dream, and you now dream of selling your business and cashing out to a retired life or moving into a new business. However, you may not be sure of how to protect your precious asset as you sell it and ensure that you are fairly compensated. Let's face it...... in order to live your dreams you probably need help from others. You need professional help to ensure that you are accomplishing what you dream of accomplishing. You need a team with experience, a team that cares about you, and a team that has connections to other professionals including accountants and business appraisers. That is where OUR dream comes in. Let our dreams help you accomplish your dreams! 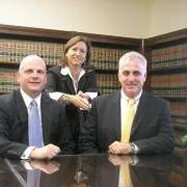 Contact our legal firm in Annapolis, Maryland, to schedule an appointment or to learn more about our business law techniques.